This reproduction of a 1950's game in retro style packaging is perfect for teaching children where cities are around the world. The board is a map of the world and the playing pieces are little wooden aeroplanes. The letters are dealt amongst the players and you must chose the best route to deliver them. Roll the dice and fly your plane around the world delivering the mail. The winner is the first person to deliver all their letters. 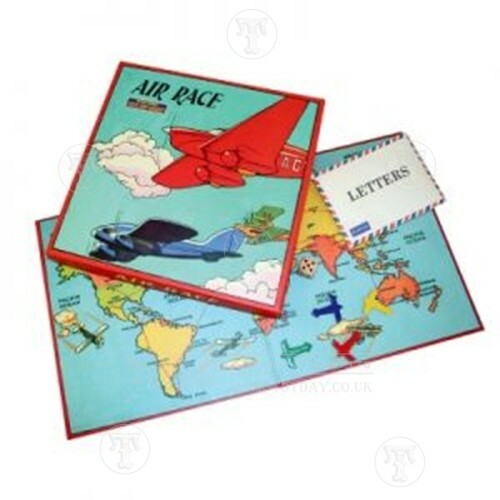 This Air Race board Game is a great game for family fun!